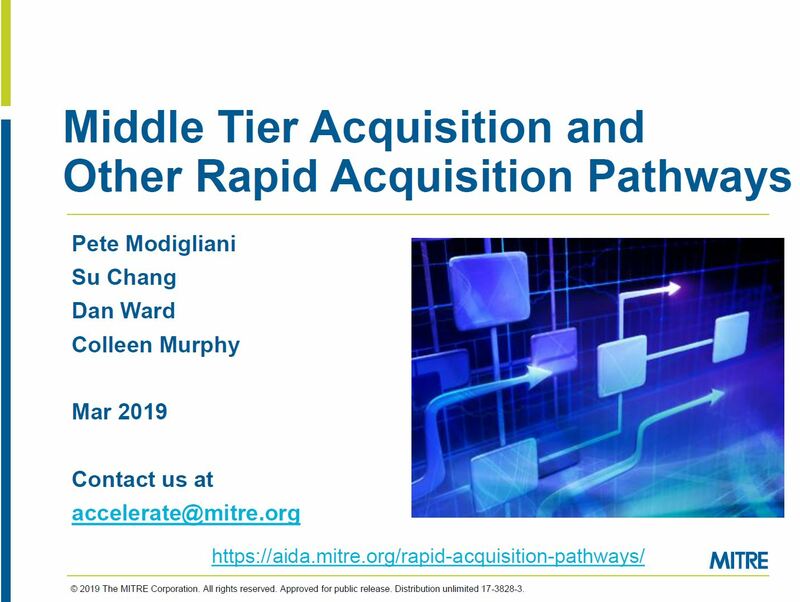 Your source for Middle Tier Acquisition (Section 804) information. As USD(A&S) and the SAEs publish implementation guidance, we integrate it here. Middle Tier implementation guidance is organized by the functional areas on the left. 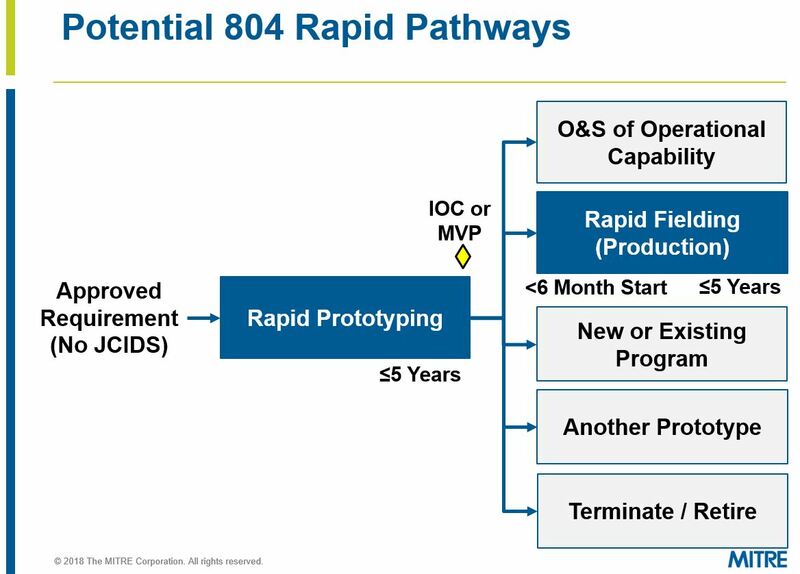 Per the FY16 NDAA, these programs shall not be subject to JCIDS and DODD 5000.01, however the DoD implementation includes a tailored set of requirements and acquisition processes. 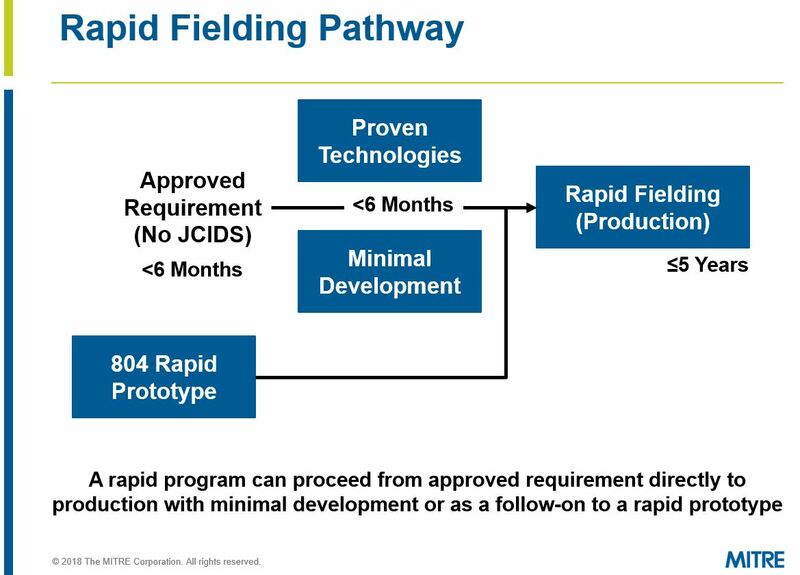 Guidance required shall provide for a streamlined and coordinated requirements, budget, and acquisition process that results in the development of an approved requirement for each program in a period of not more than six months from the time that the process is initiated. Each of the Middle Tier Acquisition pages has a comment section at the bottom. We hope to facilitate collaboration across the community on successful adoption of 804 practices. Please pose questions, challenges, and best practices to share with others.